Reach Technologies Atlanta is an authorized service center for HP, Copystar/Kyocera, Lexmark, Brother, KIP, Oki and Xerox. 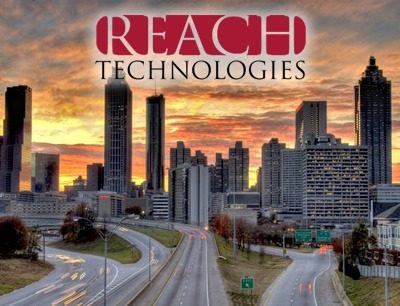 Reach Technologies Atlanta has a full line of office supplies, mail equipment, MPS programs, a copier line, and is continually expanded the technology supplies offered. By providing all of our supplies online and by establishing exceptional customer relationships, we have positioned ourselves to compete against many of the big box stores without having to pay for the brick and mortar real estate and thereby passing that savings onto you. We Provide The Following Services To Businesses In Atlanta, Georgia. Our service & repair engineers have over 50 years of experience with computers, laser printers, copiers and fax machines. We provide hardware for copiers, printers, multifunction devices, faxes, scanners, plotters, etc. that are designed to meet your specific need and volume. Our service department provides corporations and businesses with trained and professional on-site technicians for printer, scanner, plotter, and fax machine repairs. Managed Print Services designed to allow you to manage your entire printer fleet through a simple and secure software program. By coupling supplies, service and monitoring; MPS uses real time data from each network printer device to track supply levels, page counts, trouble alerts and give you a true cost for your printing environment. Our Business Solutions Specialists and Customer Service representative bring a high level of professionalism and a strong desire to be an asset to all of our customers by showing a demonstrable benefit of having Reach Technologies as your supplier for your technology equipment, business solutions, and office supplies.